Today is Halloween and one of my favorite holidays. I love seeing kids dressed up, handing out tons of sugar high inducing candy, and letting the kids run wild after too much trick or treating/candy binging. This year Bella is going as a pirate princess. This will literally be the 1st Halloween costume she's ever worn that's a DRESS. How the heck did I talk her into that?! 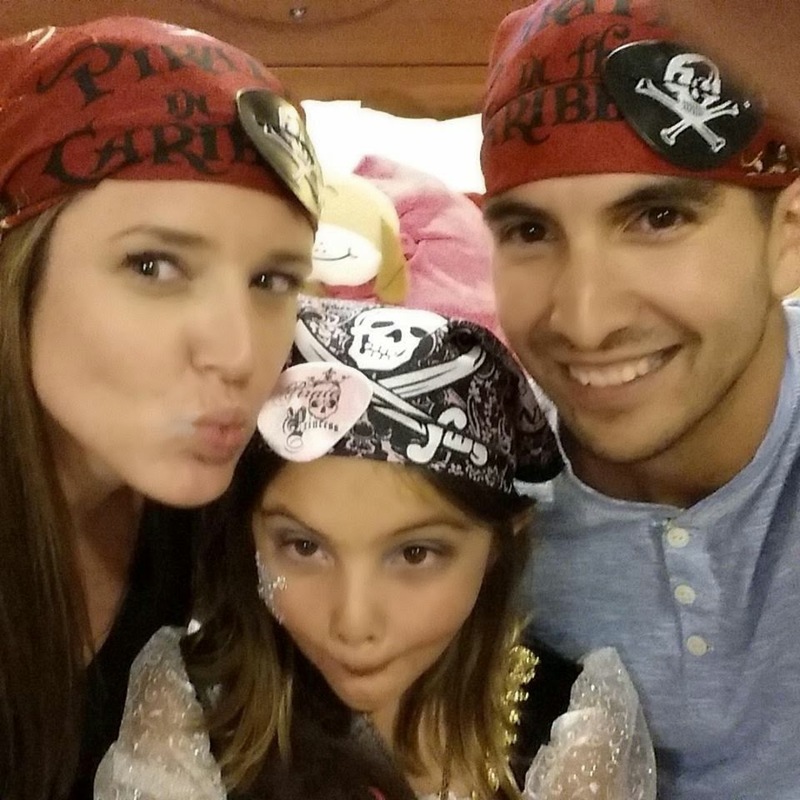 Well seeing as we spent an ungodly amount for her to be a "Pirate of the Caribbean" pirate princess on the Disney Cruise, we told her she has to dress up as it again for Halloween! 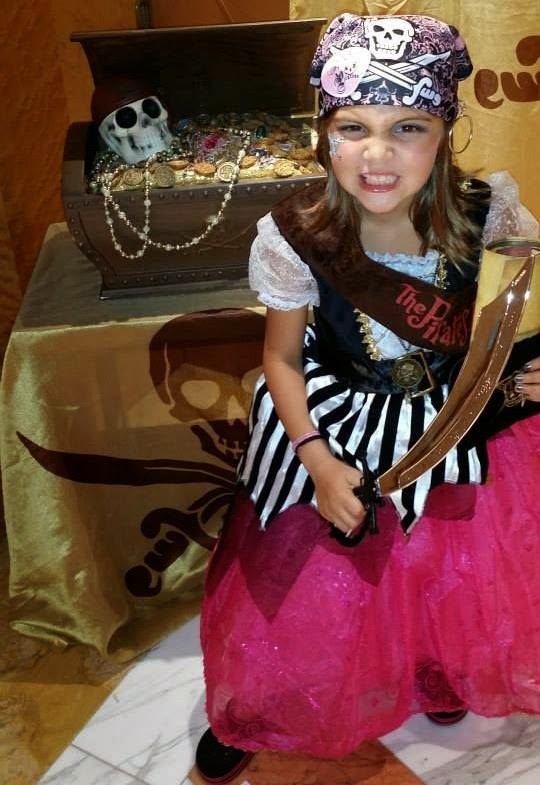 Cutest mean pirate princess in history right there people! So have a happy & SAFE Halloween!! 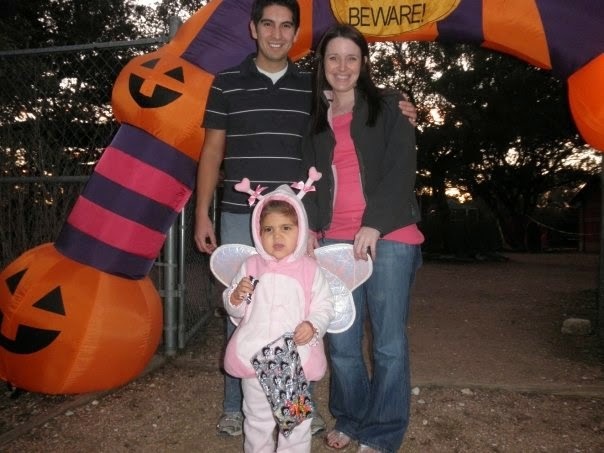 And for your enjoyment here's a throwback picture from Halloween 2009. Bella was 2 years old and we were youngins as well! Man I look terrible with really dark hair!